India Palace is located in the upstate of South Carolina. 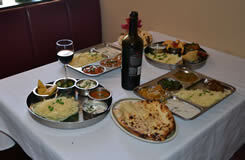 India Palace has been in Greenville, South Carolina since 1992 located right off N. Pleasantburg Drive. There is ample amount of parking and have easy access in and out. � 2012 India Palace. All rights reserved.